These are new pipes made by Stinkens being racked in at our workshop. 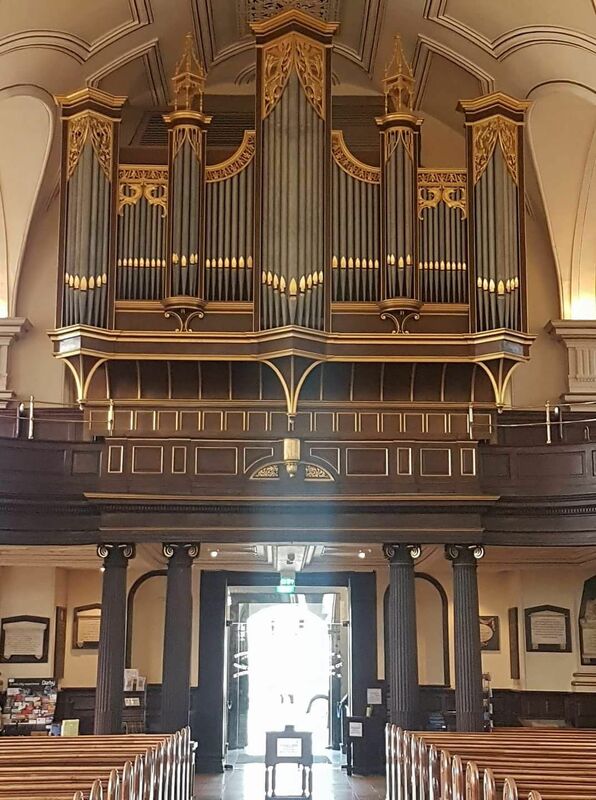 One of the largest organs we tune and maintain is at Derby Cathederal. 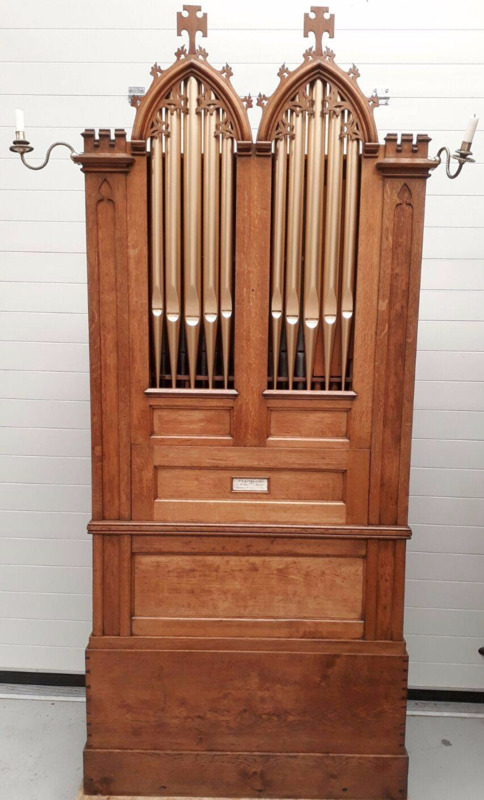 We also maintain the retro choir organ which was built by our company in 1973. St Bartholomew Church, Orford, Suffolk. 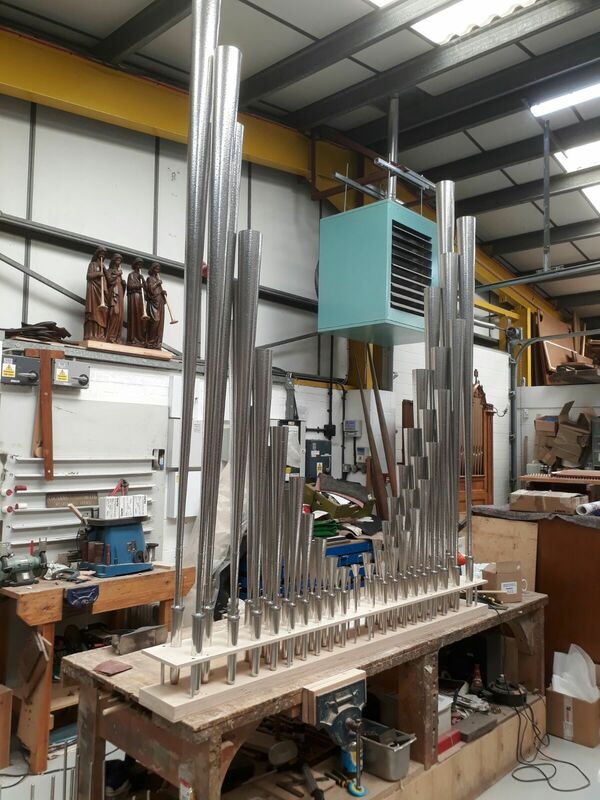 Progress pictures of the Peter Collins organ previously situated in the Turner Sims Hall at the University of Southampton . 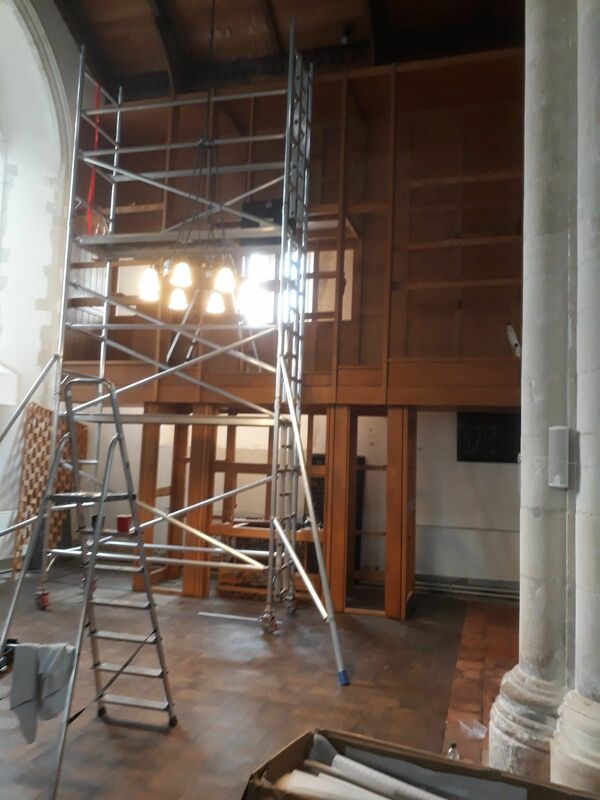 It will be completely restored, updated and installed at Orford Parish Church, Suffolk in time for Easter 2019. St Peter's Parish Church, Market Bosworth, Leicestershire. 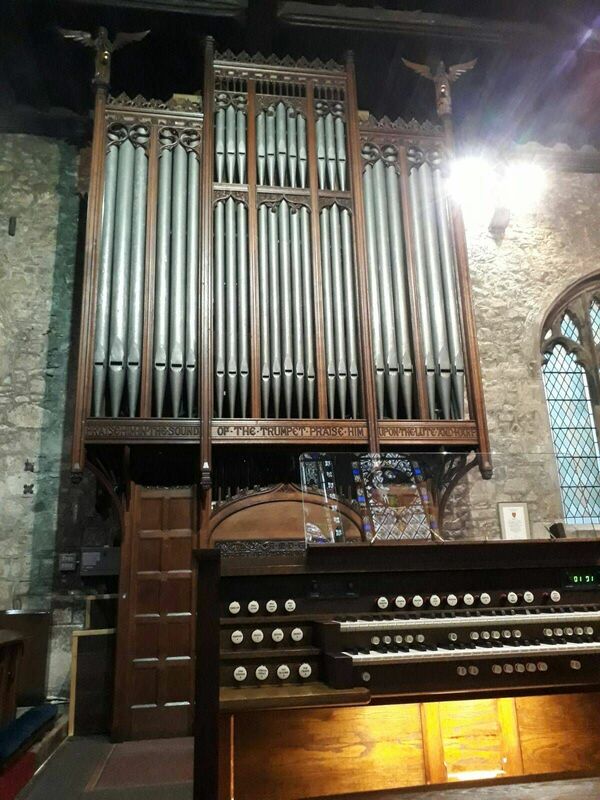 The organ was completely rebuilt using new slider chests with built in schwimmers, new trunks, swell box and shutters, and new console and bellows. We re-used some of the Porritt pipework and casework. 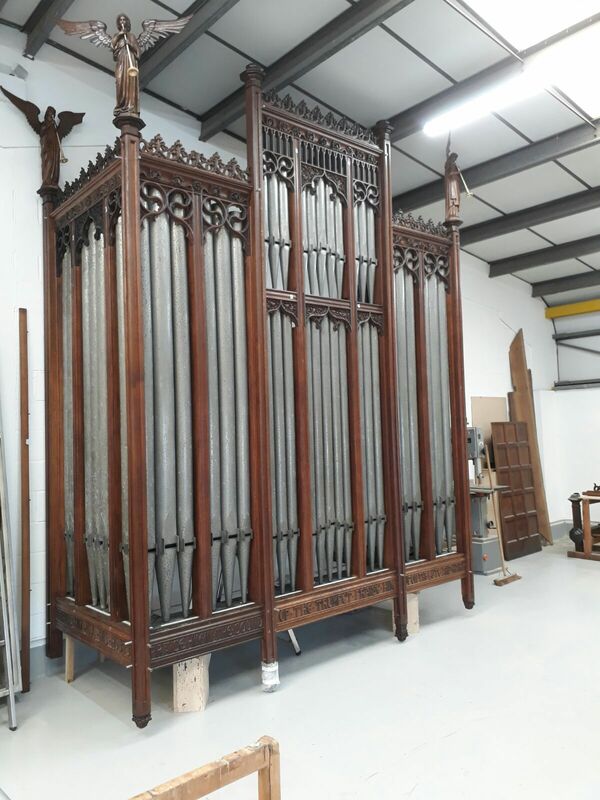 Additional Stinkens pipework was used for some of the stops. 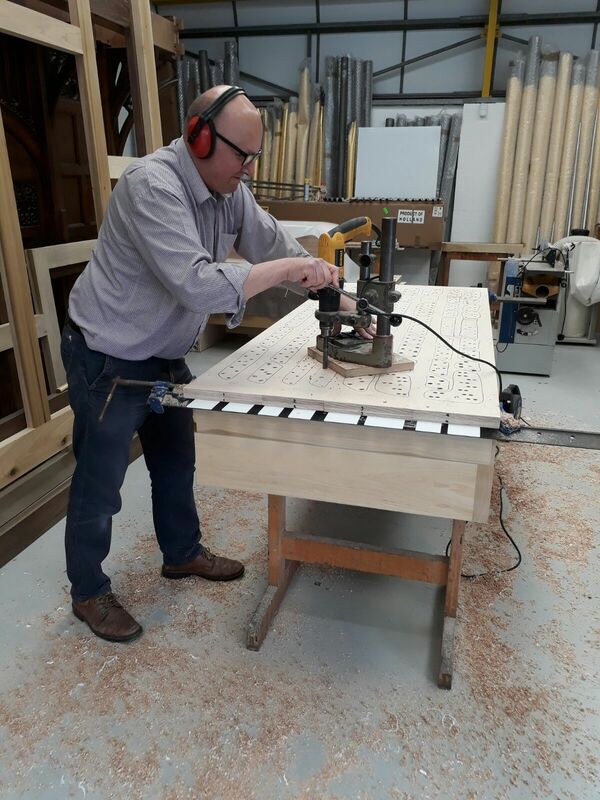 Ian Carter carried out the voicing and fine-tuning with close cooperation of organist Robert Foreman BMus FRCO FTCL, and organ advisor Paul Hale MA FRCO ARCM FRSCM .